The rumours of this actress starring opposite Zain Imam in this upcoming show of Star Bharat is doing the rounds from a long time. But now the news has been confirmed that his actress who was last seen in Ishqbaaz as “Gauri” will make her TV comeback with this show. Yes, you heard it right we are talking about none other than Shrenu Parikh, who is going to star opposite Zain Imam and Tanvi Dogra in Star Bharat’s next titled “Mere Biwi Ka Sasural”. 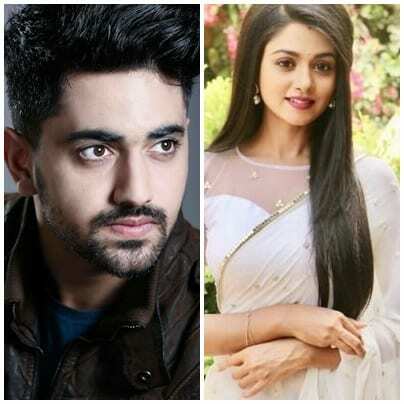 Tanvi Dogra and Zain Imam will play the protagonist in the show whereas Shrenu will be seen essaying the role of the antagonist in the show. The show is reportedly produced by Dipti Kalwani. This young producer has popular show like “Badho Bahu” in her kitty. The duo of Zain and Shrenu was seen sharing screen in Ishqbaaz where Zain played the role of Mohit magician, which was a negative character as well. Well the shoot of the show is all set to start soon. Shrenu Parikh for the first time is going to play the dark shades of a character in ITV. We wish the makers and the actors all the best for their upcoming show. Spoilers Alert :- Kullfi Kumarr Bajewala upcoming twists and turns, Kullfi to leave Sikander’s house..
Spoilers Alert :- Krishna Chali London’s upcoming twists and turns..